Chickens and bears, oh my! | Can I Bring the Dog? Chickens and bears, oh my! 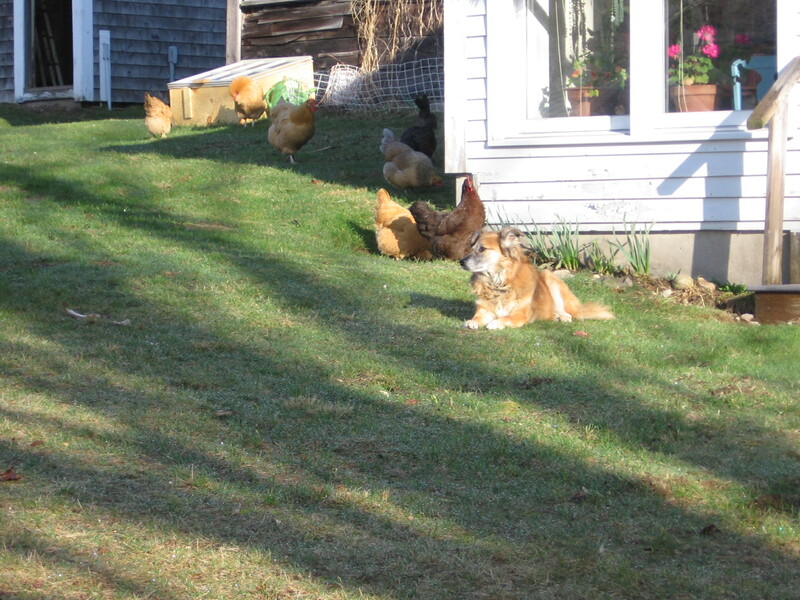 At the beginning of the summer, I had a happy little flock of thirteen chickens. On nice days, they, Chico, and I would hang out in the yard. Chico had his bone, the chickens looked for bugs, I weeded. Then, all over my rural neighborhood, the bears started making problems in chicken coops. Last week, they made a problem in my coop. In fact, it was a slaughter. The remaining six chickens are going to a safe house tonight. Maybe some day they can come back, but for now, it just isn’t working here. I’ll really miss them. Many people believe that chickens are stupid. I know I used to. Real chickens, the so-called heritage breeds, are bright and a real delight to watch. Oh well, they won’t be far away and I’m sure I’ll be able to visit them if I want to. 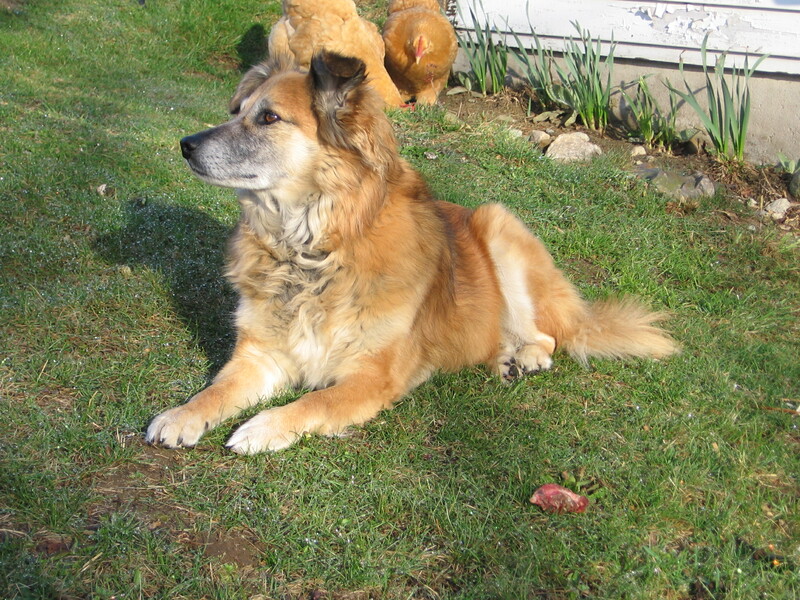 This entry was posted in Uncategorized and tagged bears, chickens, Chico, good dog. Bookmark the permalink. 5 Responses to Chickens and bears, oh my! That is so sad. We are so lucky in New Zealand as there are virtually no predators (apart from hawks but our chicken house and free range area is close to some huge trees and the local hawk doesn’t come close to our house. It sounds like your chickens have a great safe haven. Mine are fine and well integrated with the new flock already. Maybe when the bears go to sleep for the winter my birds can come home for a few months. Thanks for your kind words from the other side of the world. Bummer Annie. I’m glad they will be near by. Love the photos of creatures intermingling! Thanks you. I just imagine that the remaining ones are in the witness protection plan and visit them when I can.